Till now you must be aware of the new upcoming iPhone 5 and must be wondering when it is really coming. You might have heard a lot of rumors for iPhone 5 that it will be coming this fall, then not this fall but in September and the best thing not in September but in October and so on. These rumors didn’t ended and we came to know that iPhone 5 was spotted in the hands of some Apple Employee. What if the iPhone 5 is already in field testing and given out to carriers ? Do case leaks suggest the silent button will be re allocated ? All these type of rumors won’t end until the iPhone 5 is out. It turns out that we are picking up that this interim iPhone refresh in the Fall timeframe could be a bigger upgrade than we expected. We believe this makes sense to improve the iPhone experience without making it too bulky as we have seen with models from competitors. 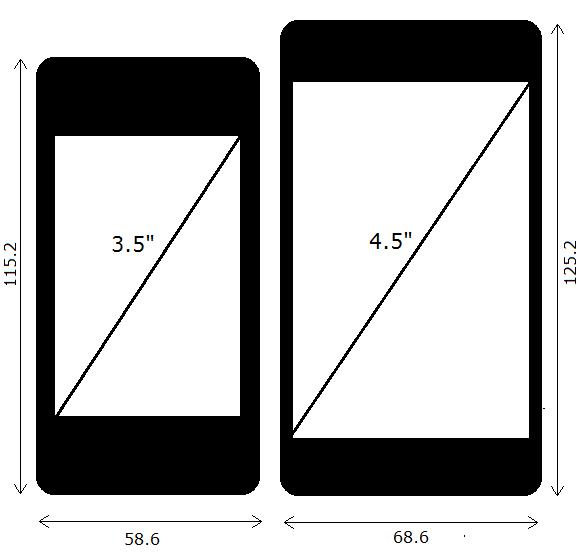 Above is done a detail comparison by melablog of iPhone 4 3.5″ and runored iPhone 5 4.7″ screen. 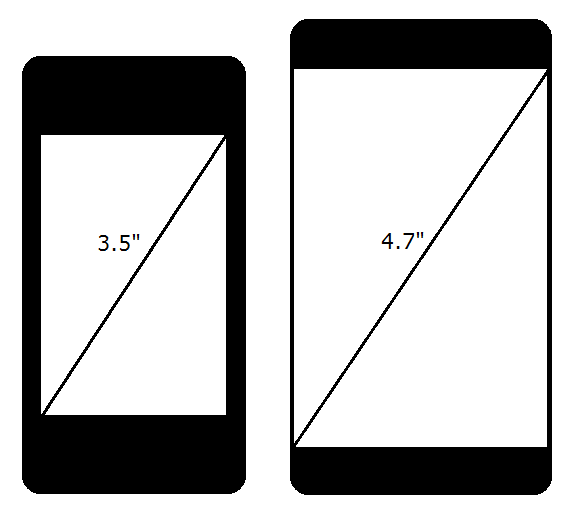 If the screen with 4.7″ comes out, so it would be some what same as the screen of HTC phones. Any how the rumors are making us to expect more from iPhone 5 and it seems that iPhone 5 will be next major release by Apple. So stay tuned for more Rumors and to know about the release dates and pricing.